Ryan has extensive experience in all aspects of civil litigation. He routinely tries several cases a year to verdict. The vast majority of Ryan’s defense cases have resulted in defense verdicts. On the plaintiff’s side, Ryan recently achieved a twenty five million dollar ($25,000,000) verdict in federal court in a hostile work environment case. Ryan’s background in architecture assists him in handling all facets of complex and technical litigation. 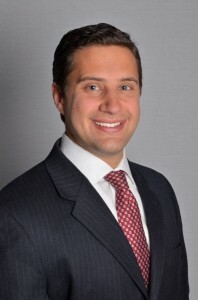 Prior to becoming a founding Partner of Schnitter Ciccarelli Mills, Ryan was managing partner of Brown and Kelly, LLP. Ryan’s achievements in the courtroom afforded him the designation as a New York State “Super Lawyer”. Co-Authored Article, “Is Anyone Liable? Mold: A Comprehensive Primer on Claims and Litigation in New York”, New York State Bar Association. Co-Authored Article, “All Risk Insurance, Warehouseman’s Coverage, Inland Marine Insurance, Commercial Automobile Insurance, Commercial Line Insurance Coverage with Advanced Issues”.